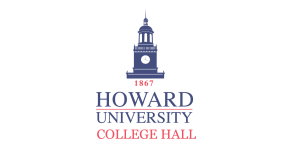 We are pleased that you have chosen Howard University for your summer housing needs during your visit to Washington, D.C. Howard is the most convenient and affordable housing you'll find for your summer destination. Here at Howard, we believe that planning your trip should be the easiest part of your travel. Howard University is situated in the most ideal location in Washington, DC. With downtown Chinatown just a few metro stops away and the U Street corridor around the corner, you will easily find yourself immersed in DC culture. Howard University is close to a myriad of monuments, museums, theaters, free concerts, international dining and offers convenient access to government offices and other research facilities. An individual interning at a governmental agency or office in D.C. However, eligibility requires the submission and approval of your application in accordance with the specified time frame. Participants and groups in the summer housing program must plan their housing arrangements consistent with the starting date of May 24, 2019 and the ending date of July 31, 2019. The Summer Conference and Group Housing Program is committed to providing you with the best accommodations possible. To ensure this, we ask that you make use of the information in this guide and respond immediately. Please feel free to call us with any additional questions that you may have at (888) 600-4660. Your official application is one of two primary documents considered in the reservation/assignment process. You will receive confirmation within 7 days of your approvals. Walk-in applications may be considered and assignments made based on space availability. We do not offer single room accommodations for married couples or families. Guests with disabilities must request special housing arrangements at least two weeks prior to their arrival. These requests must be submitted along with a completed Contract form. Please read the Down Payment, Cancellation and Refund Policy carefully. Also, please list the names of male and female participants on the attached Summer Conference and Group Housing Participant List. If you need more space, please attach additional names on a separate sheet. Our summer housing rates remain among the most competitive rates in the D.C. area. Please make the necessary adjustments as you plan your stay with us in the future. **Please note that College Hall is now offering special rates for Howard University groups and Long Term Summer Conference Guests (seven nights or more). Please email collhall.info@campusapts.com for more information. *We will not accept cash as payment. After your application has been submitted, please make your payment out to College Hall and send to the below address. Have you participated in this program at Howard before?